Be honest, if a genie in a bottle offered you an 18-pound limit of bass every time you went fishing, you’d jump on it like a 5-pound smallmouth on a soft shell crawdad. 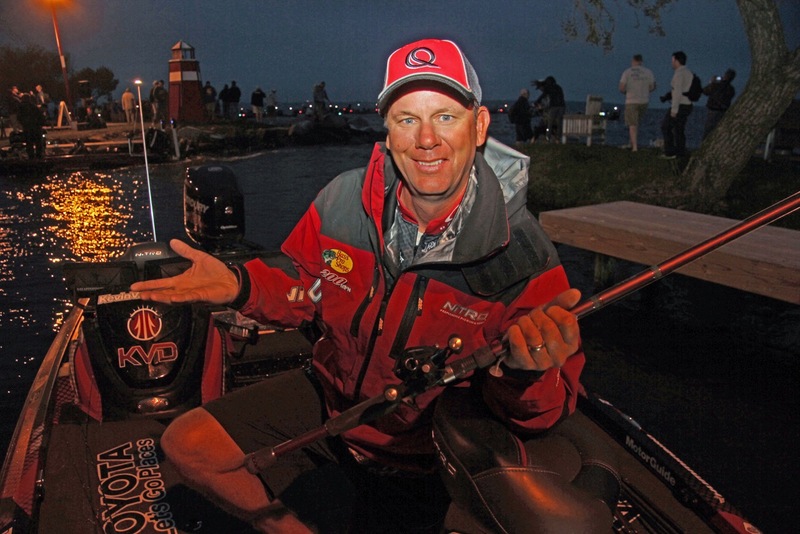 But for the greatest bass angler of all time, bringing an 18-pound limit of smallmouth to the scales on Day 1 of the Toyota Bassmaster Angler of the Year Championship on Lake Mille Lacs felt like Christmas without presents. Or, maybe a good old fashioned kick in the fishin’ shorts. “Yea, absolutely I’d call it disappointing,” said Kevin VanDam in the predawn light just before heading out in search of a bigger sack of bronze bombers on Day 2. “I actually caught more bass than I expected to yesterday, but so many of my bites yesterday were 2 or 2 ½ pound fish. I just never got a real big bite,” he explained. Ironically, even though 29 of the 50 competitors caught at least a 20-pound limit on Day 1, nearly all of them still insist that Mille Lacs is fishing stingy. “You look at that leaderboard, and you’re thinking we just went out there and blasted ‘em yesterday – but trust me, that ain’t the deal. It’s a grind. Even a lot of the guys who caught ‘em really good yesterday only got seven or eight bites all day long,” explains the career long Quantum pro. But today is a brand new day. And boy is it different. Instead of calm winds and bright sunny skies, clouds are heavy grey and the winds are blowing steady out of the North-Northeast at 10 mph. 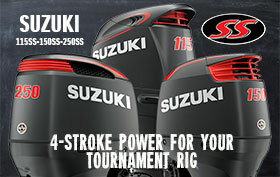 Faster moving lures like jerkbaits, crankbaits and spinnerbaits will be much bigger players. And if VanDam had a genie in a bottle – that’s exactly what he’d wish for. So keep an eye on the leaderboard. And don’t be shocked if the 7-time Toyota Bassmaster Angler of the Year makes a jump toward the top like a 5-pound smallie.